Natural phenomena don’t come much more spectacular than a solar eclipse, and on 21 August, photographers based along a 70-mile path across America will be treated to a total eclipse of the sun, as the moon lines up to block its light. 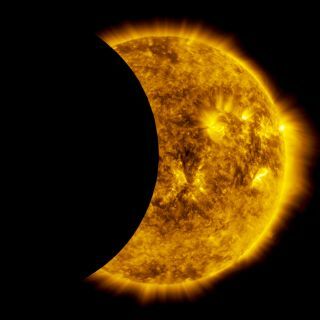 Total solar eclipses are rare – in fact, there won’t be another until 2024 – so we’ve served up eight things you need to know to give you the best possible chance of safely capturing an awe-inspiring image! Although the solar eclipse is a very cool thing to photograph, it also comes with an element of danger. Put short, safety precautions must be taken. Looking directly at the sun can permanently harm your vision, so you should use solar shades if you are setting up and glancing towards the sky. You should also add a filter to your lens – more on this later. The path of the total solar eclipse will be around 70 miles wide, and this means nearly 15 million Americans should be able to see the full totality. If you live outside of this zone, you can choose to travel to the path zone, although you’ll still be able to get photos of a partial eclipse throughout the rest of the country. NASA has provided a helpful interactive map that you can see by clicking here. Solar eclipse photography comes with a fair amount of pressure as the full eclipse only lasts for around two minutes. This should still give you enough time to fire a handful of frames so you can experiment with focal lengths and different compositions. Just make sure you're totally prepared beforehand so you're not fiddling around while it's happening. A focal length of at least 500mm is recommended when photographing the solar eclipse. Remember that if you are using a camera with an APS-C sensor, the crop factor of 1.5x (1.6x for Canon) will further increase the effective focal length. This is also good news for Micro Four Thirds photographers, who enjoy a 2x crop factor, turning a 70-300mm lens into a 140-600mm optic. If you are using a full-frame camera, why not add a teleconverter to extend your effective focal length? While using a teleconverter reduces the maximum aperture, this is not such a big issue when capturing eclipse images, so it’s preferable to take the extra range. Keeping the camera steady is more difficult when using a longer focal length, so make sure to set yourself up on a tripod beforehand. To get a decent image of the solar eclipse, you'll need to reduce the amount of light from the sky passing through the lens and hitting the sensor. This means using a filter, and solar filters are built specifically for shooting images of eclipses. If you don’t own, or have access to, a solar filter, you can use a strong ND filter as a substitute. A 10-stop or 15-stop filter will do a great job of reducing the light so that you don’t end up overexposing the image. It can be difficult to get the right exposure when shooting an eclipse as the light levels will change as the moon moves across the face of the sun. Because of these shifting light levels, you should take advantage of your camera’s Auto Exposure Bracketing (AEB) mode. This feature fires off a sequence of images with different shutter speeds, and you can use this as a safety net to ensure at least one of the images will be correctly exposed. The AEB feature is typically accessed via your camera’s menu screen, although some cameras have a dedicated AEB button. As a further backup to counter shifting light levels, be sure to use the Raw file format, rather than just capturing in JPEG. Using Raw will enable you to rescue more shadow and highlight details when you edit the image in Raw-conversion software such as Adobe Lightroom. While you can make sure you are prepared with all your camera kit set up in good time, one thing that could spoil the day will be low cloud cover. Use your smartphone and weather apps to check on conditions in your local area. If things are looking poor, you may want to relocate to a secondary shooting location. You may think capturing the eclipse would leave little room to experiment or be creative, but all you need is a little imagination. For example, why not try capturing a series of images of the moon transitioning across the sun and then create a composite sequence using software? Alternatively, if you have sufficient focal length, go for a super close-up composition.